It’s Christmas eve and the kids around Carson are pretty excited. The turn out of Trinidad has an early morning run up the Carson branch to service points between Trinidad and Carson, Carson and interchange with the Carson County RR. Here we see the local ease into Carson. Mostly empties to pick up. Looks like the Safeway or Jack’s Furniture store over in Asherton got a trailer or two. The piggyback ramp doesn’t get a lot of business, but a couple of weeks ago we brought in a couple of loads of Christmas trees in trailers from back east roads. The Safeway and furniture store are the primary customers. 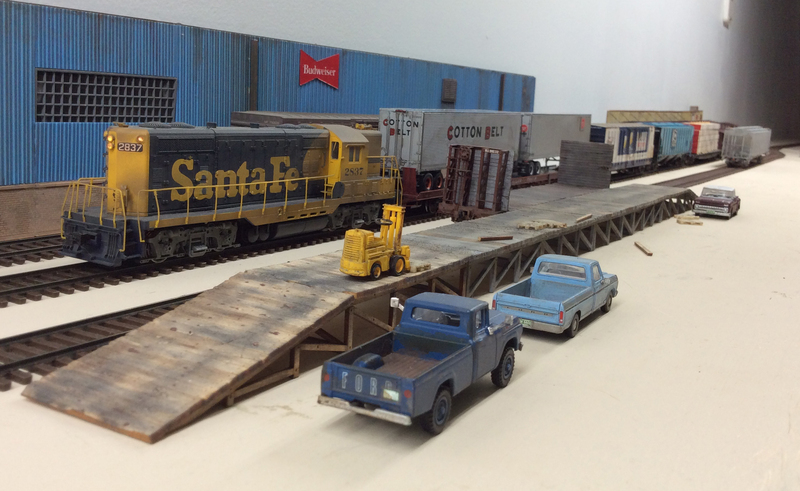 Also occasionally a few loads of lumber or feed comes in to be trucked over the pass to Hidalgo, a small ranching town–just a church, feed store, lumber yard, and post office–real pretty up there. First thing is to go west of town and spot the piggyback flat. Looks like an empty trailer just arrived to be shipped out. If I remember right, the RI trailer was full of range cubes for Hidalgo Feed. We’ll get it in a few days. 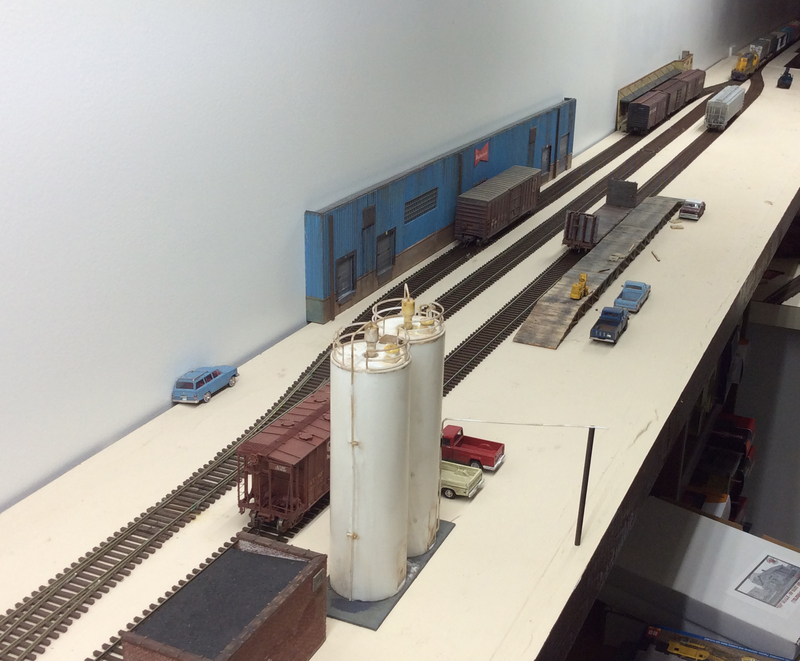 With the trailers spotted, we can pick up the interchange off the Carson County RR–loads from Mountain Gypsum. We have no interchange on our train for CCRR today. OK. Now time to head back into town and get the empties on the south spur gathered. I spotted the caboose on all the empties on the south spur on the eastern edge of the spur. Now to spot the loads. We had to separate out the lumber load so we could spot the car of feed first on the spur. Then we spotted to load of lumber for Corder Lumber. 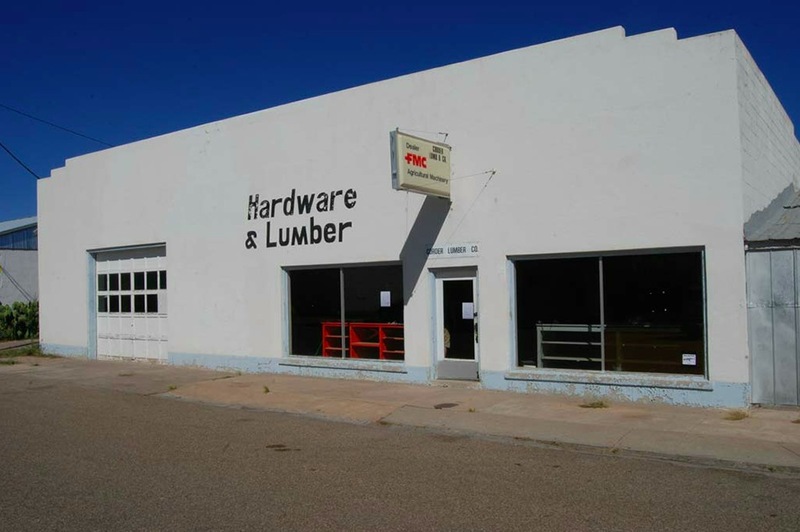 Below is a picture of Corder Lumber. It is offline, but a great customer. 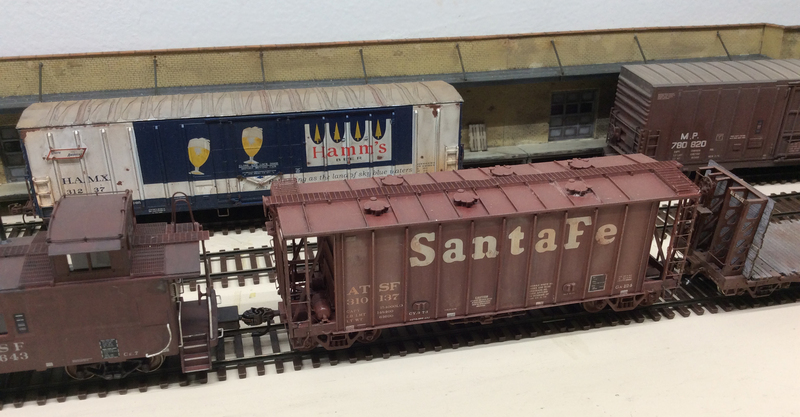 Now to get the cars on the north spur positioned including getting the load of Hamm’s beer positioned. Now time to get on the other side of the north spur to pull the empties and spot the beer car. Done. Now time to make up the eastbound train by pulling the empties off the north spur and coupling onto the rest of the train positioned on the south spur. Below, we are heading down to the east end of the spur, Mountain Gypsum loads in tow. Below after pulling the north spur empties and then coupling onto the south spur outbounds. we are almost ready to head back to Trinidad. OK. The air test is done, and we are ready to head back to Trinidad with four loads and seven empties. A couple of us are planning on going to Christmas eve mass with our families. We hope the trip back goes fast and the cows on the ranches we pass through don’t decide to loaf around the track like last week.